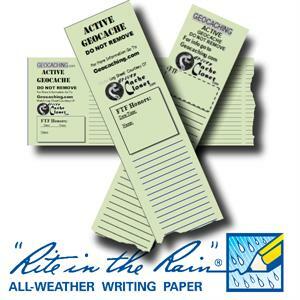 Rite in the Rain® logs are made from environmentally responsible, patented, all-weather writing paper that sheds water and enables you to write in any weather condition. 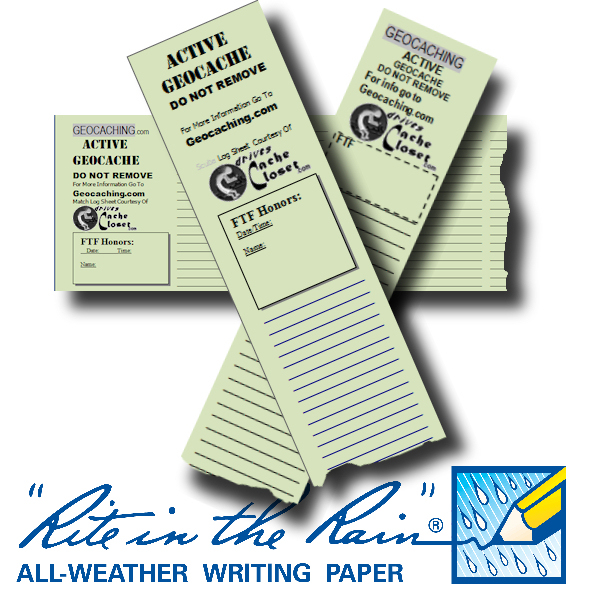 Sold in sets of 6 each, our custom log sheets are printed on both sides to last through many finders before they need replacing. The wording helps to quickly identify the container as being a geocache and aids in making them just a little more *muggle-proof*. 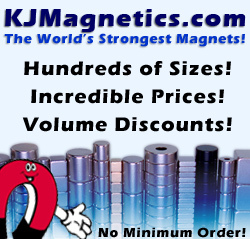 Priced at just 58¢ each, you can't find better quality (Matchstick and Preform size slightly higher). Small Bison size: ~ 1.125" x 11"
Medium Bison size: ~ 1.3125" x 11"
Scuba/Squatty Bison size: ~ 1.375" x 11"
Large Bison size: ~ 1.625" x 11"
Preform size: ~ 8.5" x 4.25"